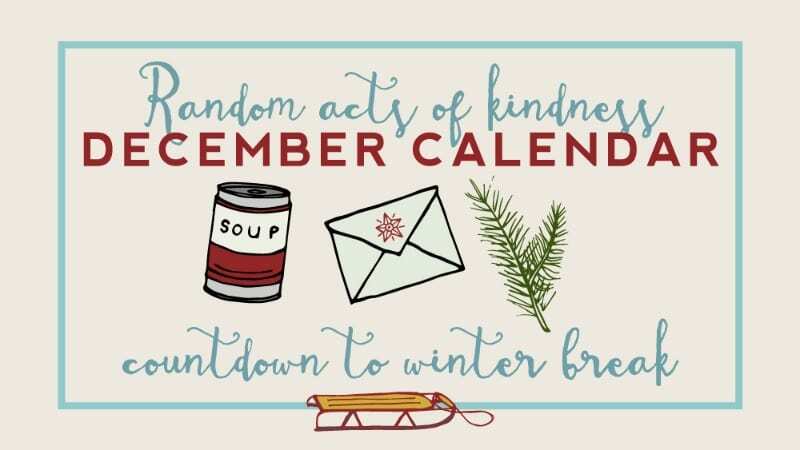 We’re challenging you and your students to complete one act of kindness every day in December. December can be a crazy time in the classroom. The kids are antsy, your personal to-do list is a mile long, and you’re still trying to cover curriculum while you can. 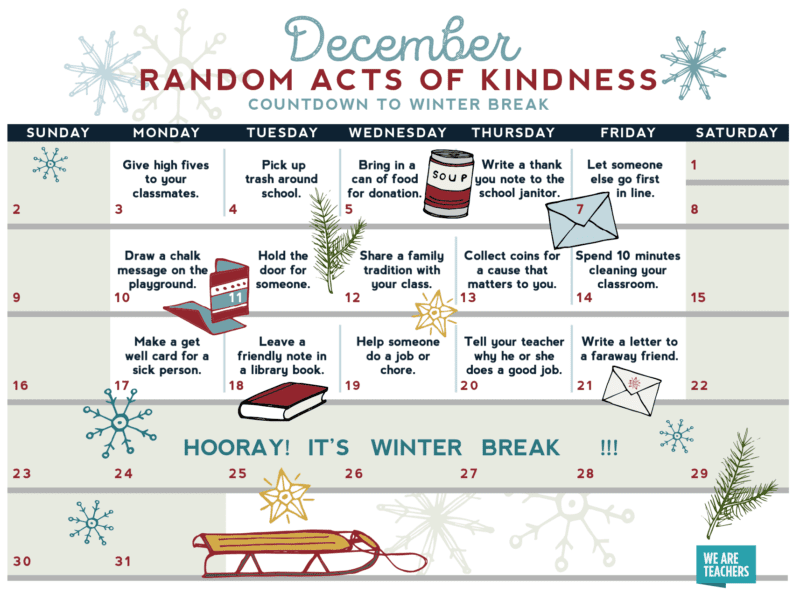 But it’s also a time for gratitude, tradition, and reflection, which is why we created this Random Acts of Kindness Calendar for the classroom. This is the third year we’ve updated our calendar, and we’ve heard from so many of you that it’s become an annual tradition for you to complete all of the activities every December. We love that—and we’d love to see photos of your kids in action! If you use the calendar in your classroom, please feel free to share your pictures with us at submissions@weareteachers.com. Hannah Hudson is the editorial director of WeAreTeachers. You can follow her on Twitter at @hannahthudson or on Facebook here. Email her at hannah@weareteachers.com.